In December 2003 I began complaining about a burning sensation in my lower legs, so bad that it would wake me from a sound sleep. This was in December 2003. I took a medication for 2 months and started feeling a weakness in both legs; just walking and then using stairs became a real challenge. By June of 2004 I could barely get around and went to my primary doctor who sent me directly to the ER, where they thought it could be Miastiva Gravis and wanted to try a medication that, if it were this, I would get up and be able to walk within 10 minutes. Not so, especially when the blood work came back showing my CPK was at 4400. I was admitted and started on Prednisone by IV and slowly my CPK came down to 2200 and a muscle biopsy was advised. This was done on June 23, and after three weeks I was discharged to wait for the biopsy results. It took another 3 weeks of waiting when Polymyositis was confirmed. I had a trach, feeding tube, and had lost 26 pounds of muscle mass with the onset of Polymyositis. I continued with the same Rheumatologist and in August, 04 he added Methotrextate, 7.5 mg. I had taken just 2 doses and on September 7, 2004 I developed pneumonia, which is a side affect of the Methotrextate for anyone with lung involvement and they should never take it. Of course, I relied on my doctor and thought he was aware of my past medical problems and the ILD. He either forgot or he didn’t know that I should never have been on methothrexate in the first place. So on September 7, 2004 I was rushed to the hospital in respiratory failure. I was placed on a ventilator and had to be shocked back! For an entire week my husband was told I would not make it through the night. He was told to call our family together and if he believed in God to pray because all my organs were shutting down. At one point, on the second day, the doctor said that there was one drug he could use that would pump blood back to the heart and brain and the only draw back was the side affect of this drug would cause me to loose both arms and legs. My husband said he looked him straight in the eye and told him you will not use that drug on my wife and if you try you will have to get passed me first. I will pull the plug myself if it comes to that. God must have had other plans for me as I went to the other side and he sent me back! I was in the first hospital for 4 weeks and transferred to another hospital where they were more successful in weaning a patient off the vent. I was transferred on September 27. They told my husband I would be there at least until Christmas and I fooled them again! After my first week I was off the vent but still needed oxygen 24/7. 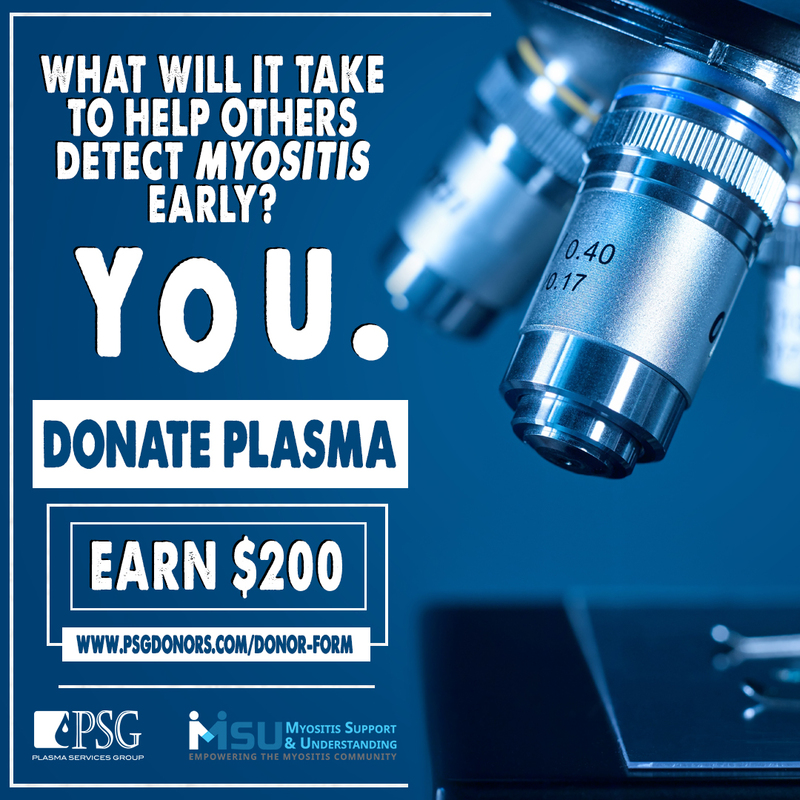 I had a trach tube, feeding tube, and had lost 26 pounds of muscle mass with the onset of Polymyositis. After another 3 weeks of PT and speech therapy for swallowing problems I was released on October 27, 2004. I came home with the feeding tube still in place, home health care, a walker and a wonderful Husband who learned all that was needed to know to be my personal nurse. He learned to crush my Meds and inject them into the feeding tube, he did all the cooking, cleaning and took complete and total care of me. I could barely hold a glass and could barely hold my head up; he had to help me in and out of bed and turn me over when I needed turning. The smallest things, I could no longer do. Like dressing and showering myself. He had to do all that and more. He even learned to color my hair and blow dry it. I hated what I had become. We retired to Florida in 1998 with such hopes and dreams and now I felt like life was no longer going to be what it was before. I lashed out at God and said many times, what did I do to deserve this. “Why me”? 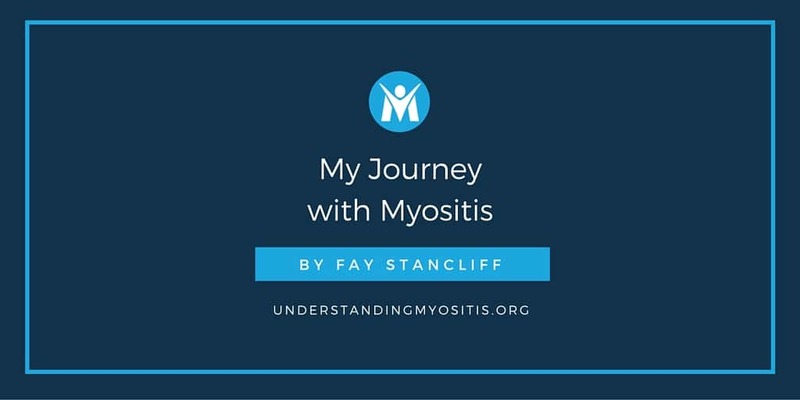 By August 2005 I decided maybe it was time for a different doctor so I researched until I found a Neurologist who seemed more familiar with Myositis and made the first appointment in September 2005 and what a blessing that was. He said we needed to get more aggressive with this disease to turn it around so he changed my Prednisone to 60 mg. My CPK had jumped up to 1900 at that point. He then added 50 mg of Imuran and for awhile I was doing fairly well until I started with increased muscle weakness in my arms and legs. My new doctor was baffled and did an EEG to see just how bad the muscles were, but this did not show any nerve damage and it was decided that I had developed a steroid Myopathy, which meant the muscles actually got weaker with the increased Prednisone. I was quickly reduced until I hit 20 mg. Then the Imuran was increased to 200 mg. You could almost see a change overnight as the Prednisone was decreased. I now have my life back, not what is was before PM but after taking inventory of where I was in 2004 and where I got to by September 2005 I realized how truly blessed I had been. God must have had a plan and I just needed to reflect and ask for his guidance. I no longer take anything for granted and take one day at a time and thank God for each new day. It will be three years on June 23, 2007 that this journey began. Now I can once again enjoy all the things I thought were lost forever, like going to church or out to dinner, or going to have my hair done and shopping. I can drive now, however not alone for fear of falling, which I have done several times. I broke my left arm in August 2005, so I don’t chance that yet. I can care for myself totally, get in and out of bed, exercise on my stationary bike, lift light weights and I can once again turn over in bed and have much of my life the way it was. On March 4, 2007 all the oxygen equipment was removed from my home, the feeding tube came out in January 05. My firm belief now is and I say it everyday “IF GOD BRINGS YOU TO IT, HE WILL BRING YOU THRU IT! In September 2006 we went on our first cruise, one that had been planned for 2004. We celebrated our 40th Wedding Anniversary. We are going on another cruise May 4th. We will be married 42 years on July 3, 07. Life is good. My experience taught me what really counts and shows who really cares. I’ve lost some friends along the way but now realize that they were not true friends after all. I tell this in the hopes that at least someone else might be helped and will know that there is a light at the end of the tunnel. You just have to be patient and make yourself believe that you too will overcome this. Thanks for listening and I hope I’ve at least helped someone to be strong and focused and you will climb the mountain as I have done! Karen, we truly do become our own advocates in our health journeys. 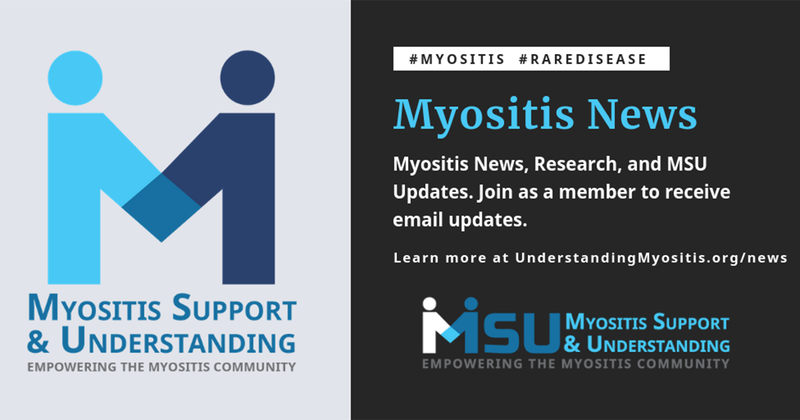 I look forward to the day when cures or even glimpses of hopes for medications that will truly slow the progression of myositis conditions. Grateful you have aids to help in your precious care. I appreciate having read your story, just sorry you are having to go thru this. Fay your story took a lot of hoping and praying. Love that you kept God with you thru it all. Focus is difficult w/such complex and multiple symptoms. Thank you for writing your story. Thanks for leaving a comment Karen. We urge all to do the same. 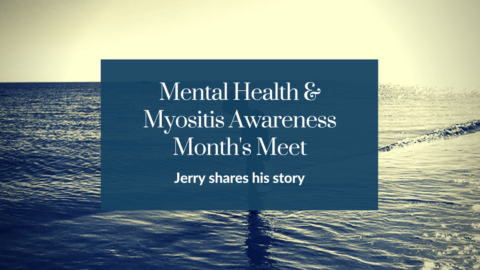 We are in the same boat and need to encourage and share our stories on how myositis has changed our lives in some way. Much of this story is mine as well. I, too got pneumonia from methotrexate. They knew I had ILD. So few had seen it, though that they took a few days to figure it out. I had PCP and another pneumonia. As I was drowning on phlegm I also passed. Brought me back. I remember vividly people calling my name and I kept wondering why they were way down the hall speaking so softly. Being called unresponsive scared my husband and daughter as well. Two months later I got home.